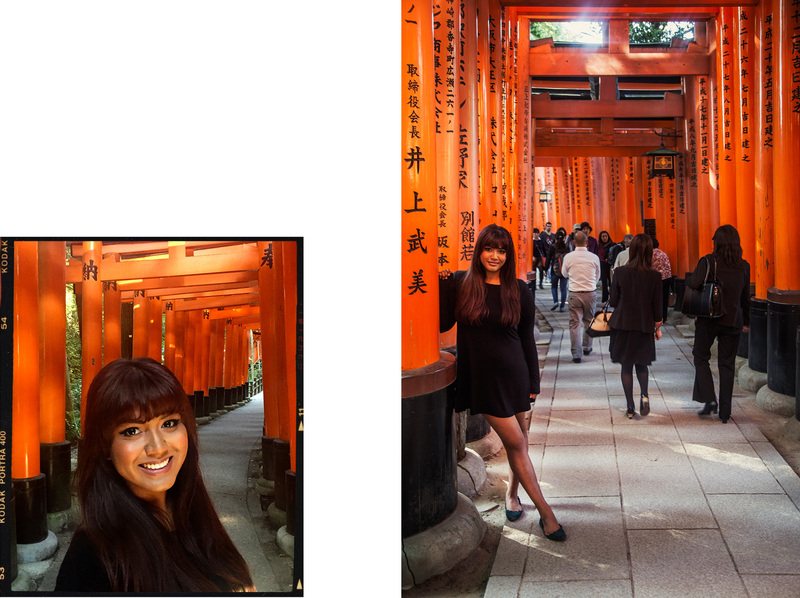 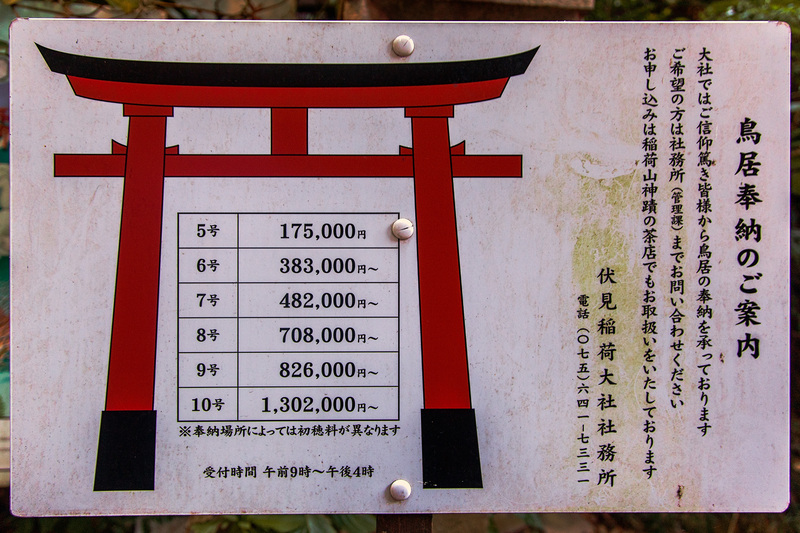 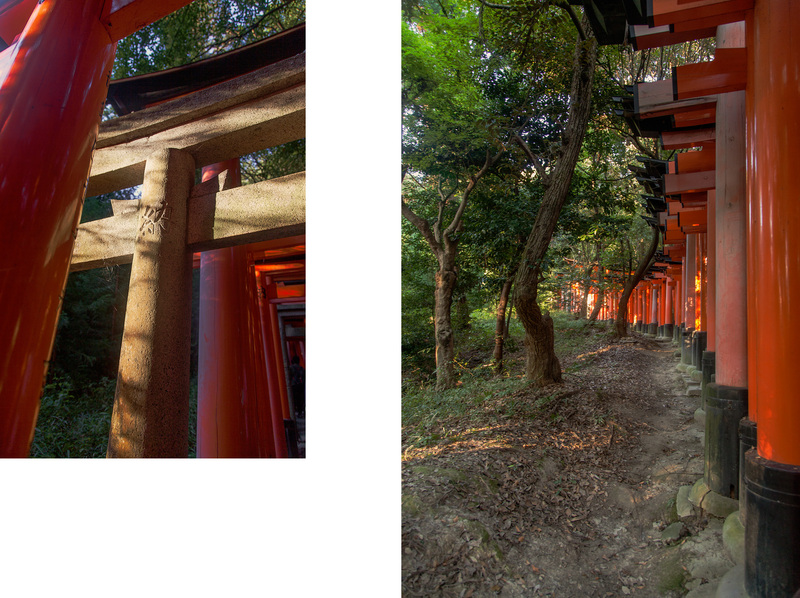 The hike up Inari mountain takes about 2 hours, winding through torii gates, forest, and shrines. 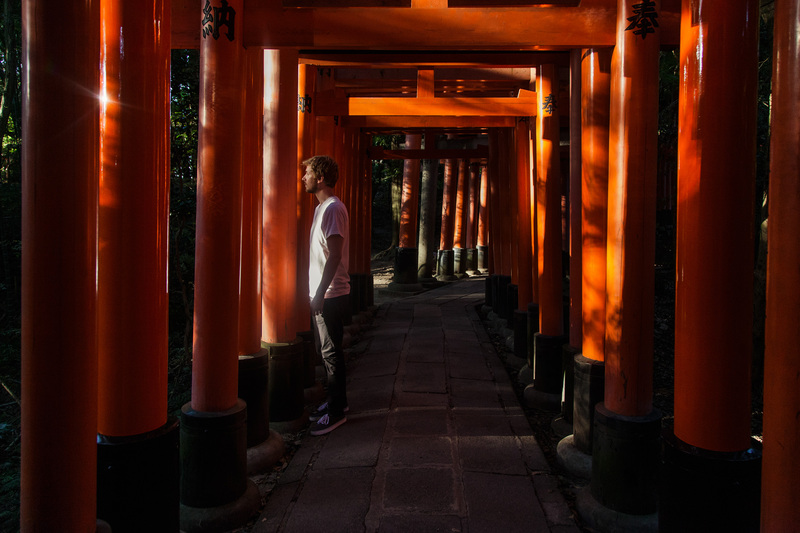 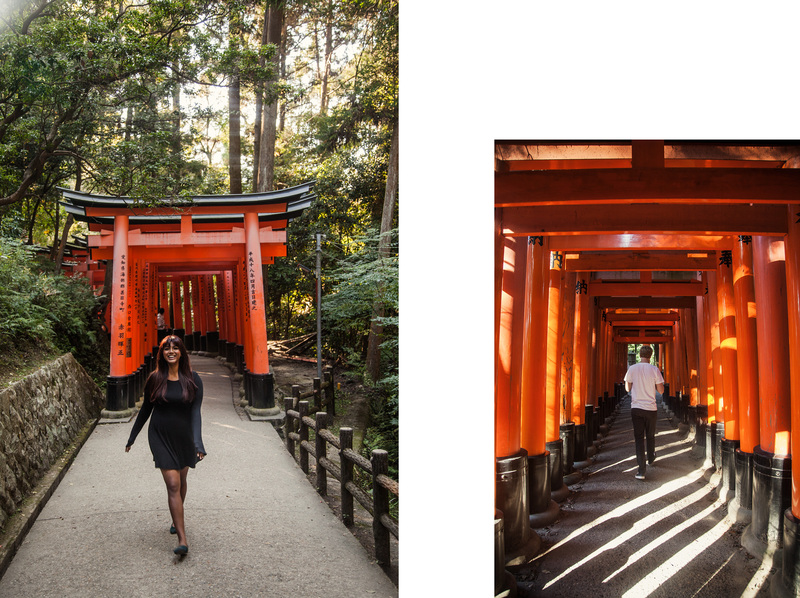 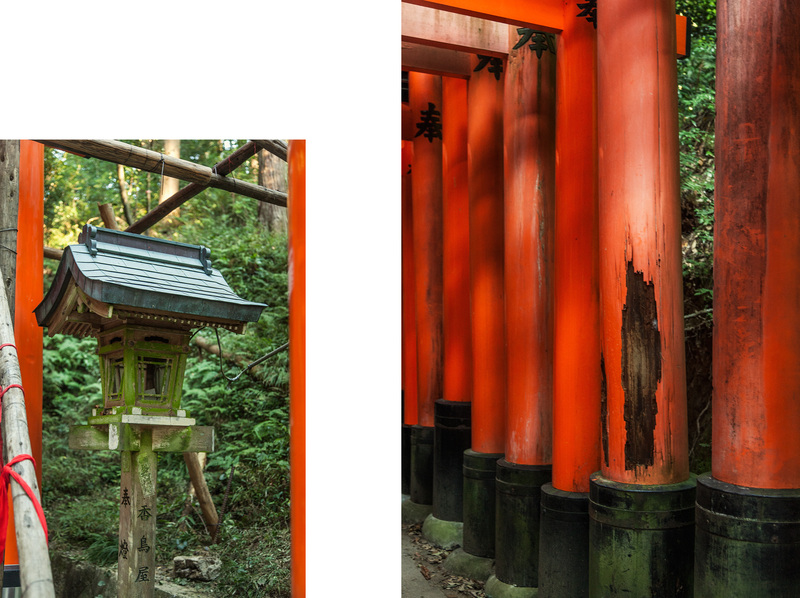 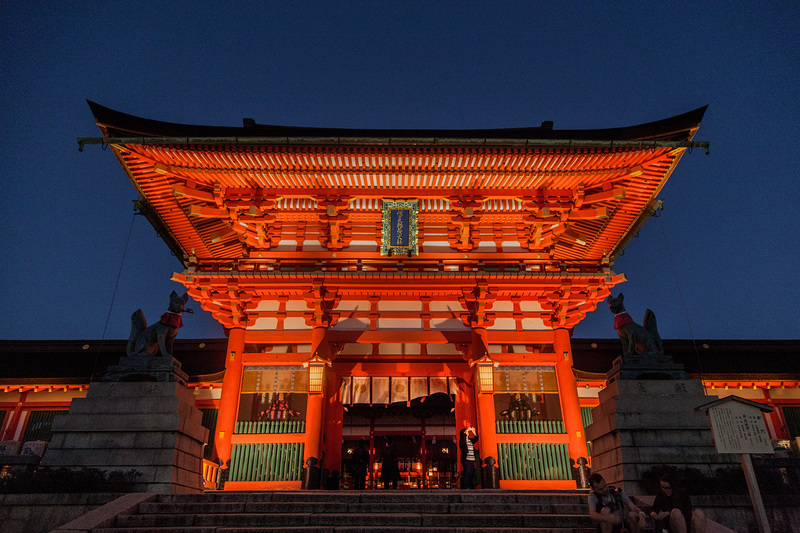 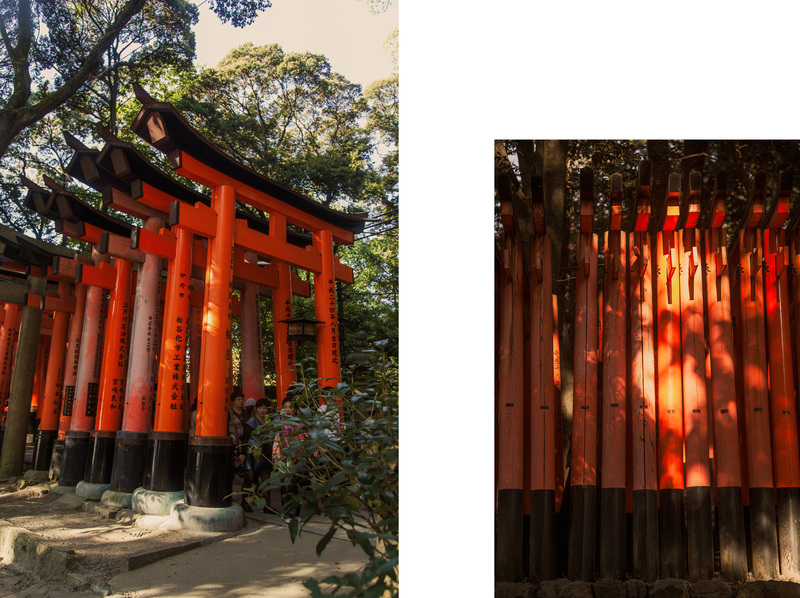 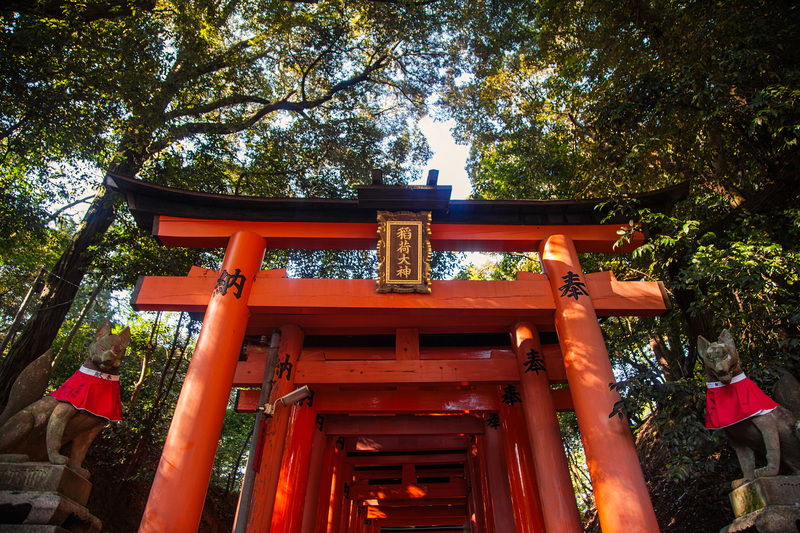 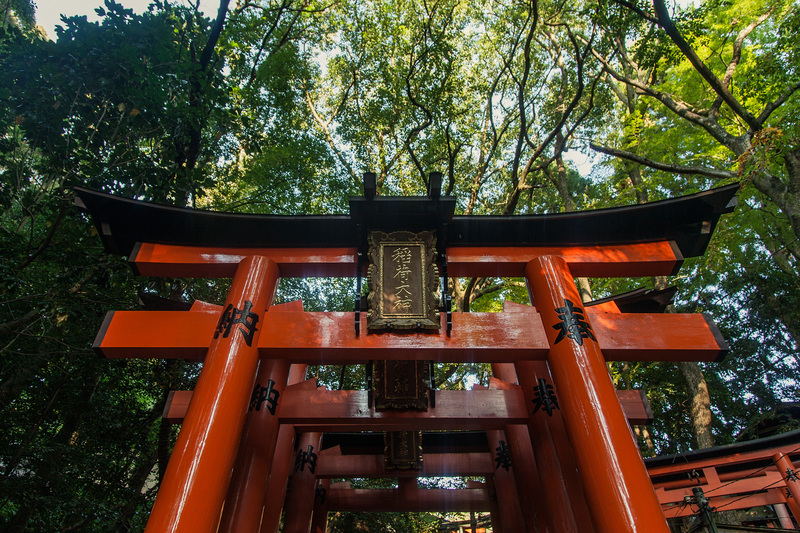 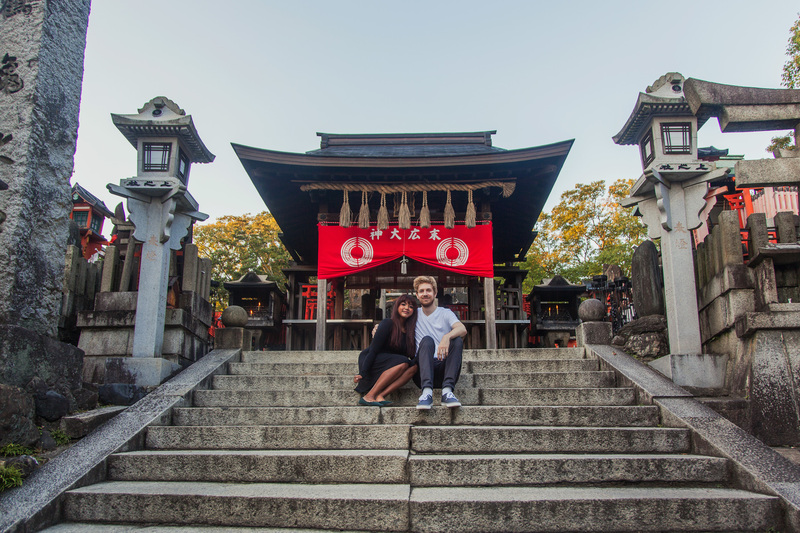 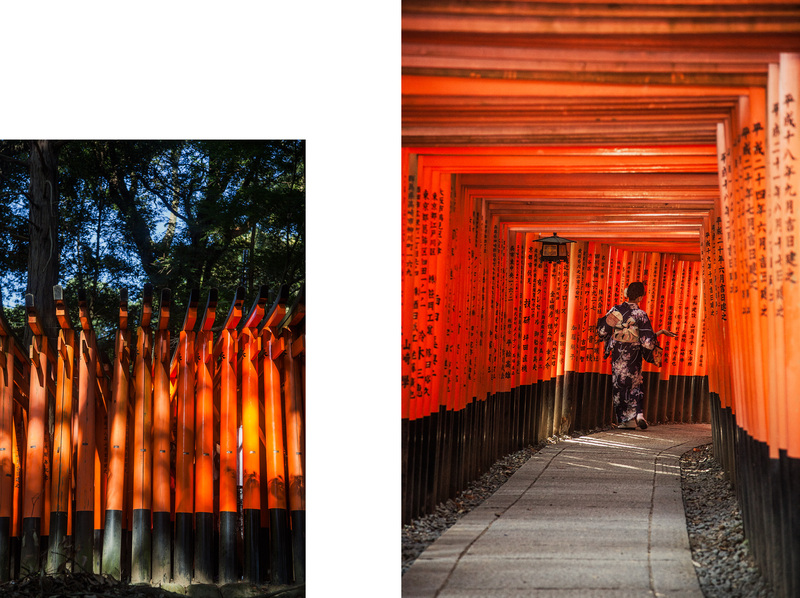 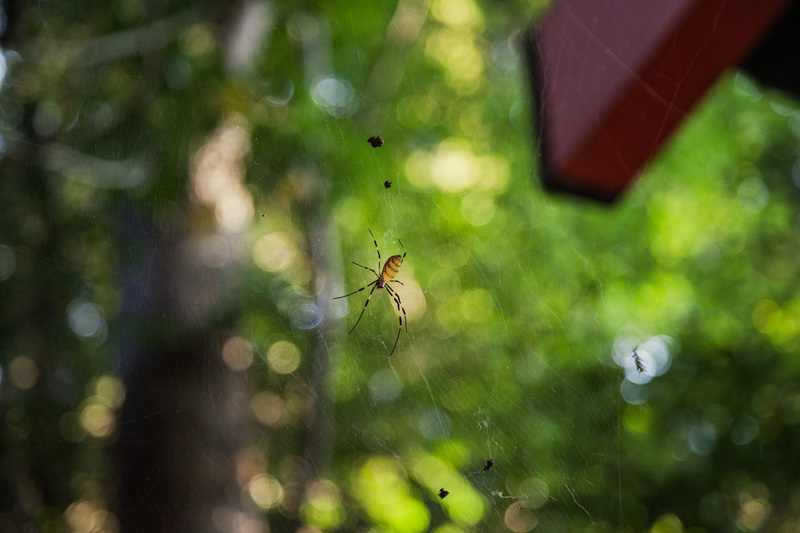 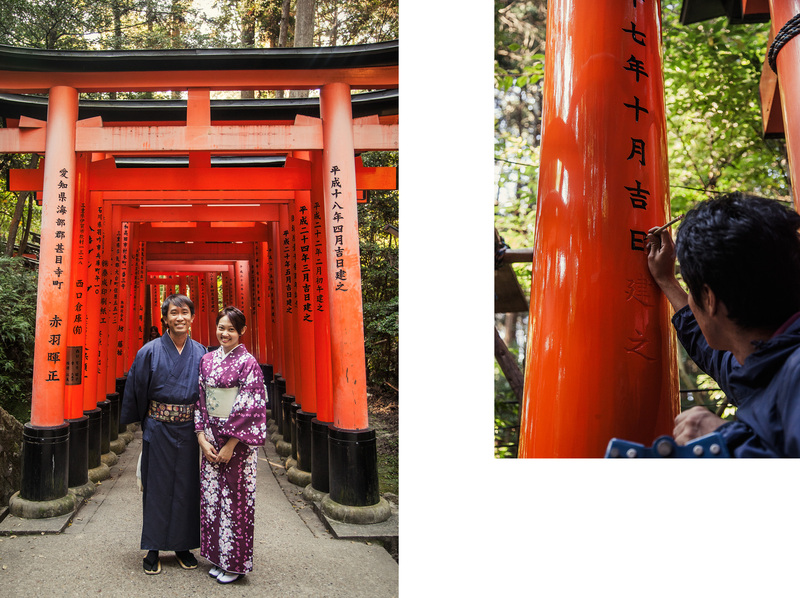 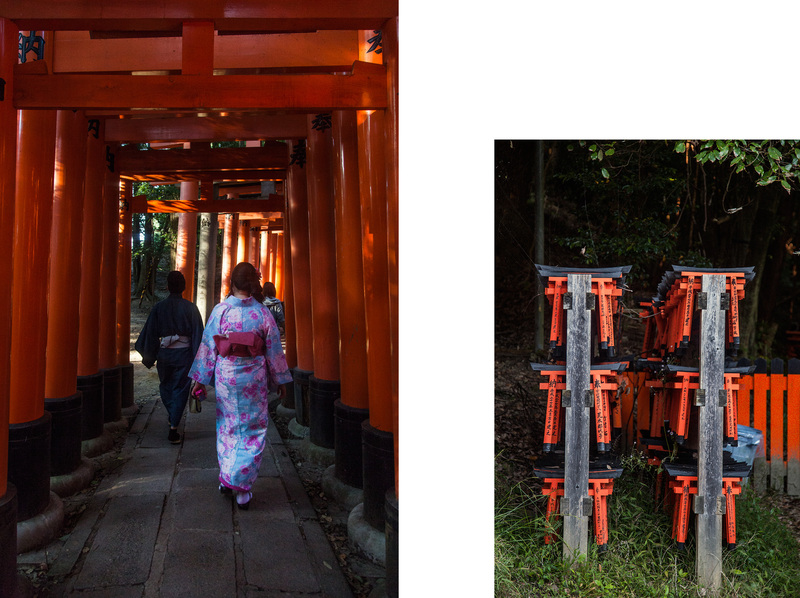 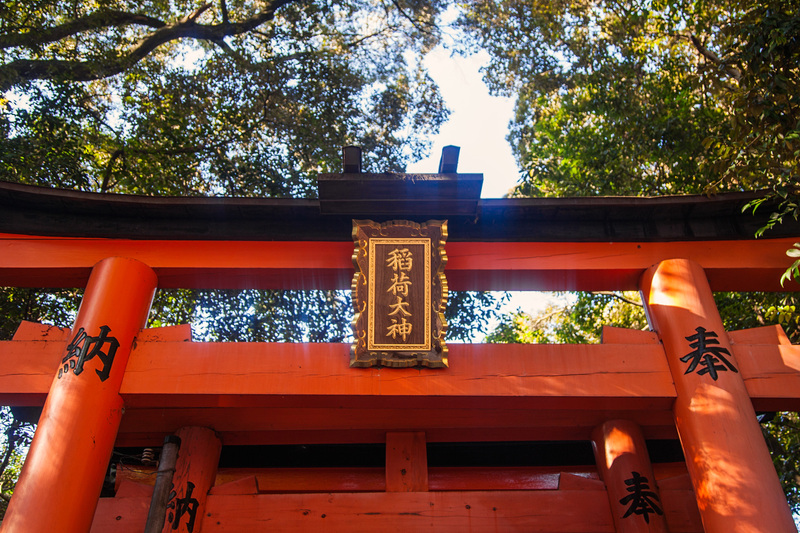 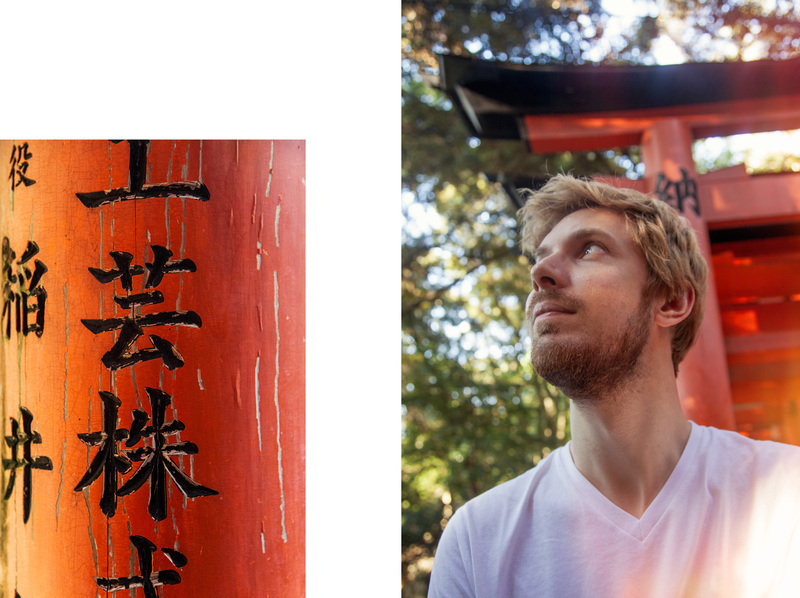 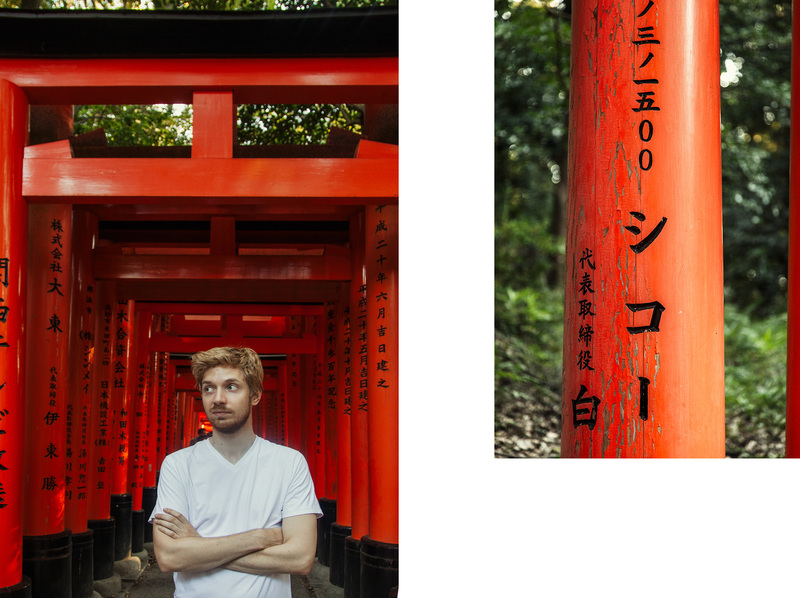 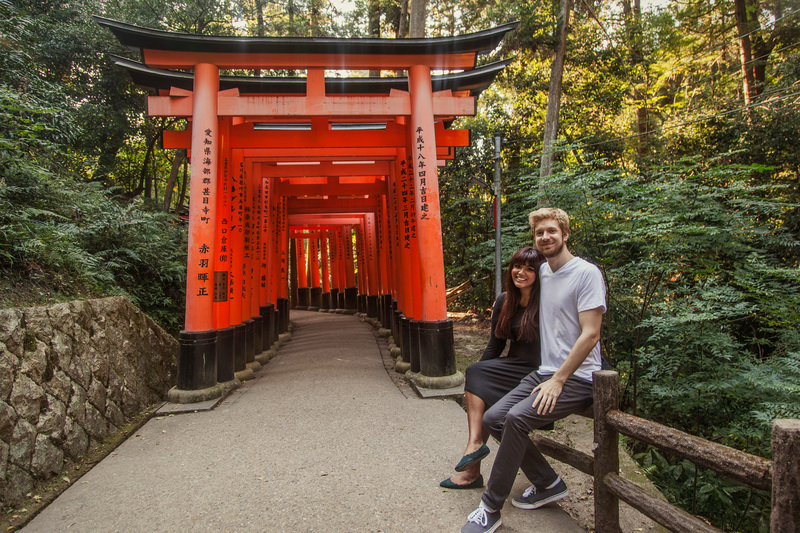 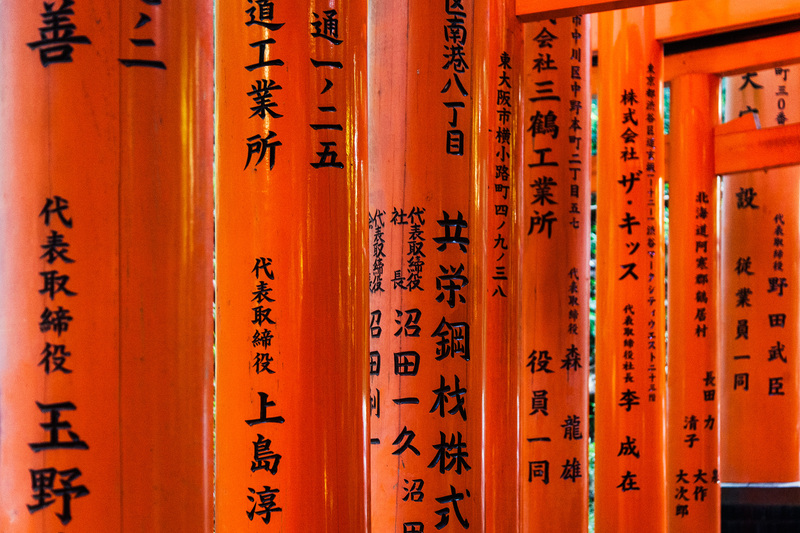 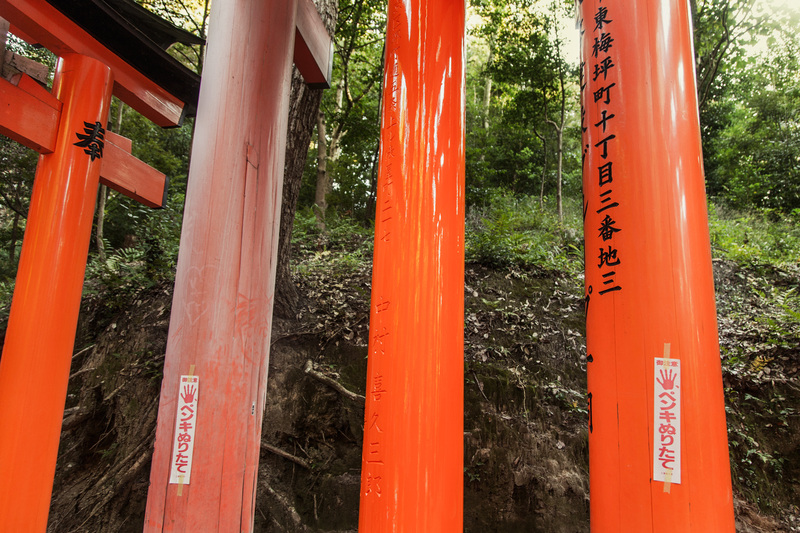 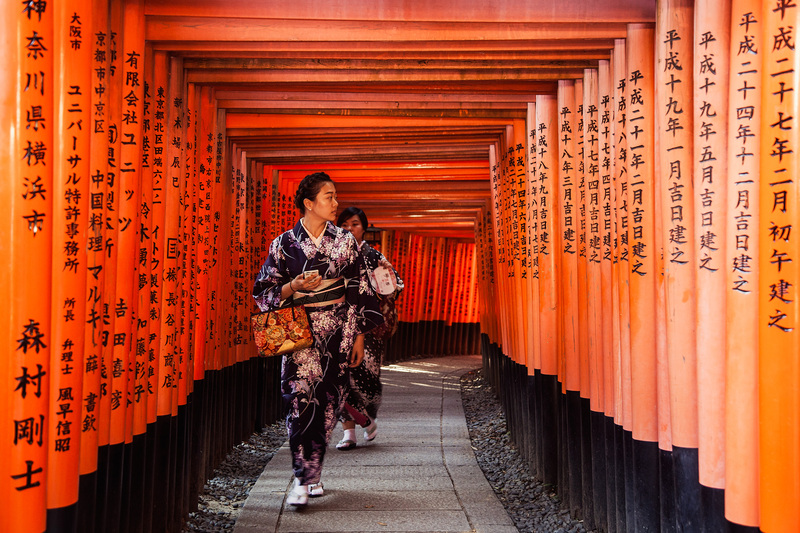 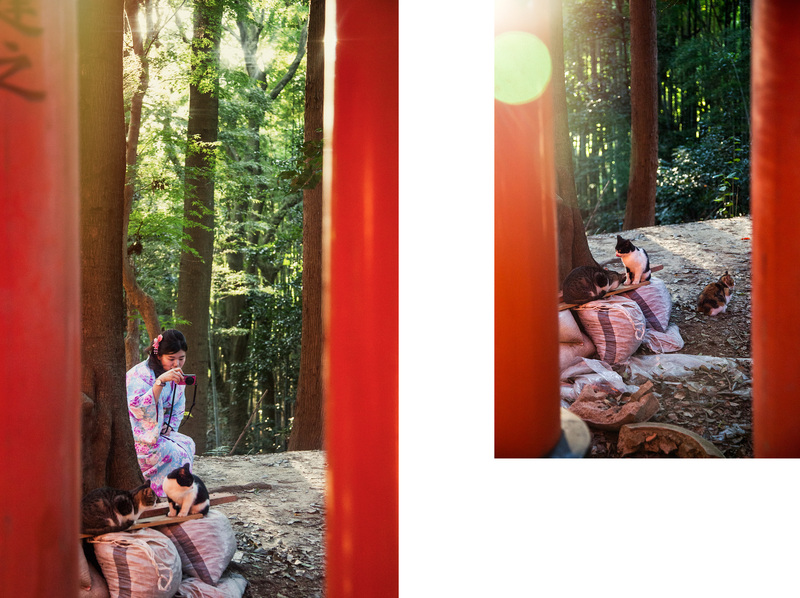 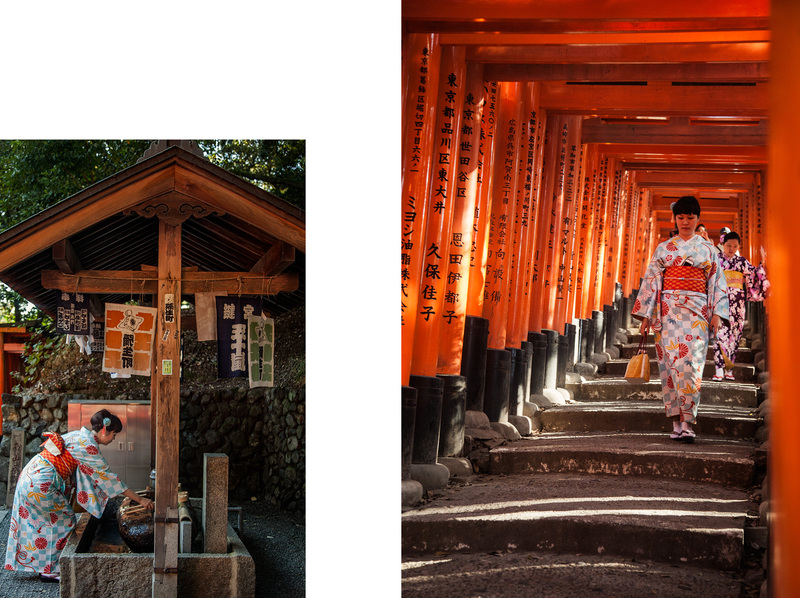 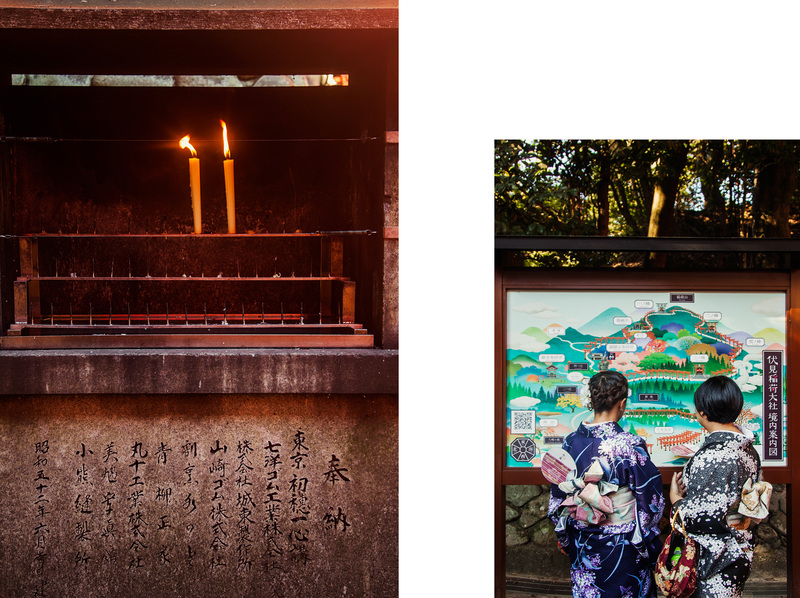 In Shintoism, torii symbolically mark the transition from the mundane to the sacred, a feeling that was especially felt as we hiked through thousands of the distinctive vermillion colored gates. 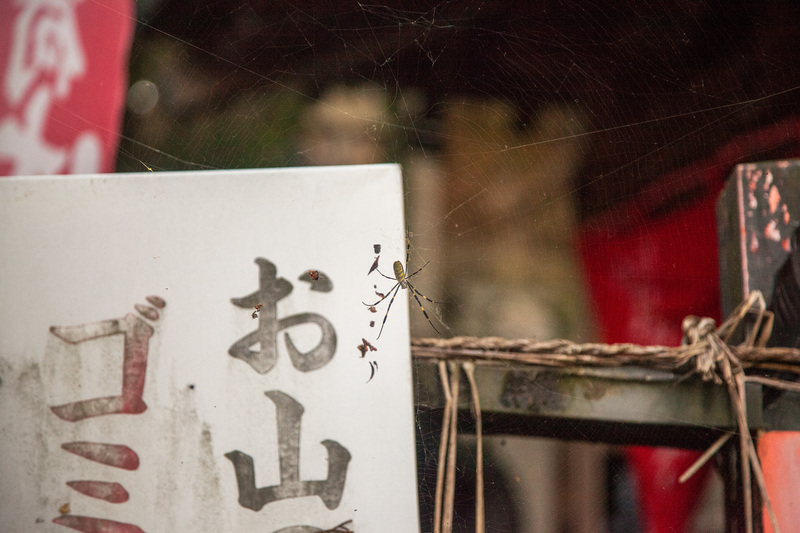 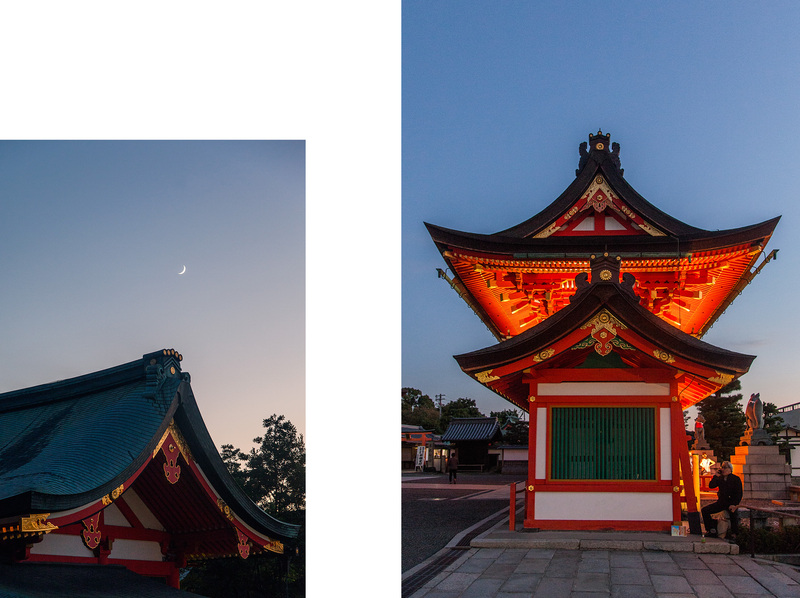 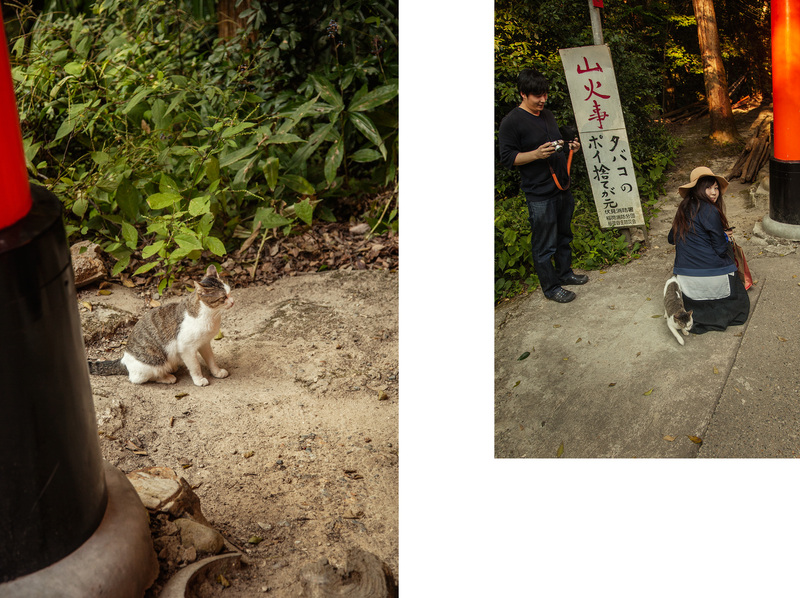 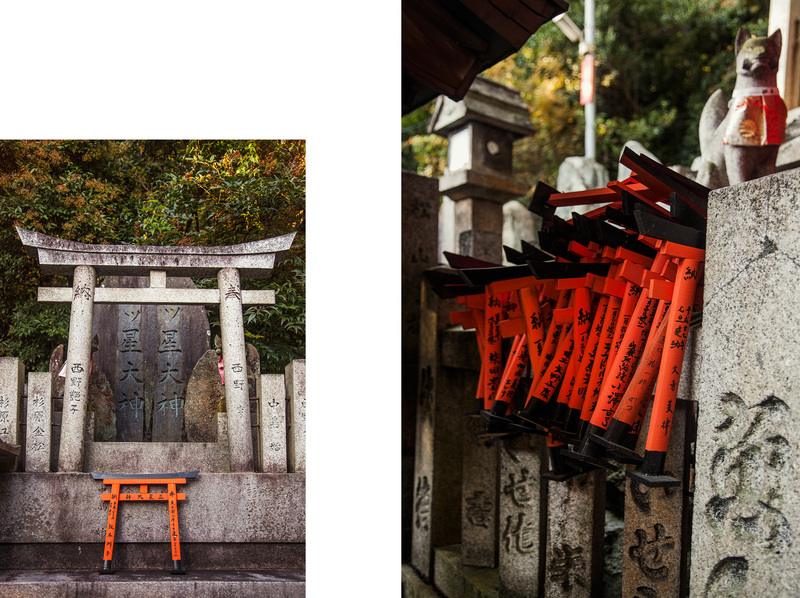 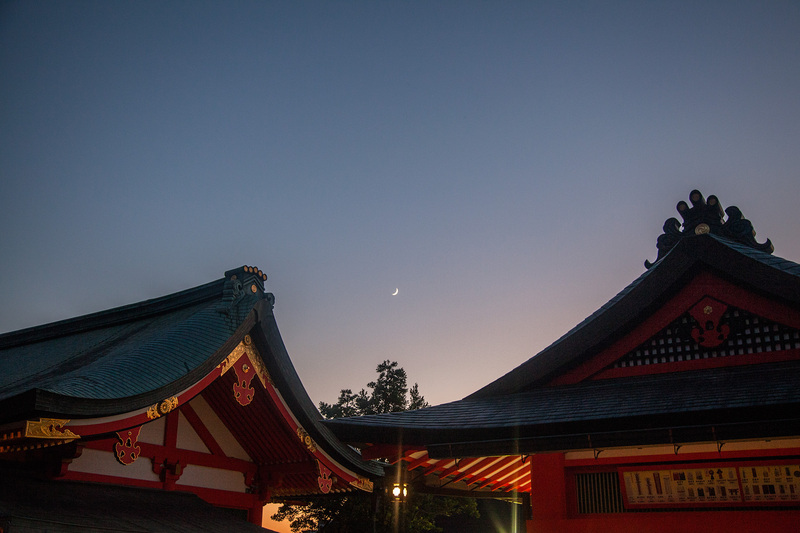 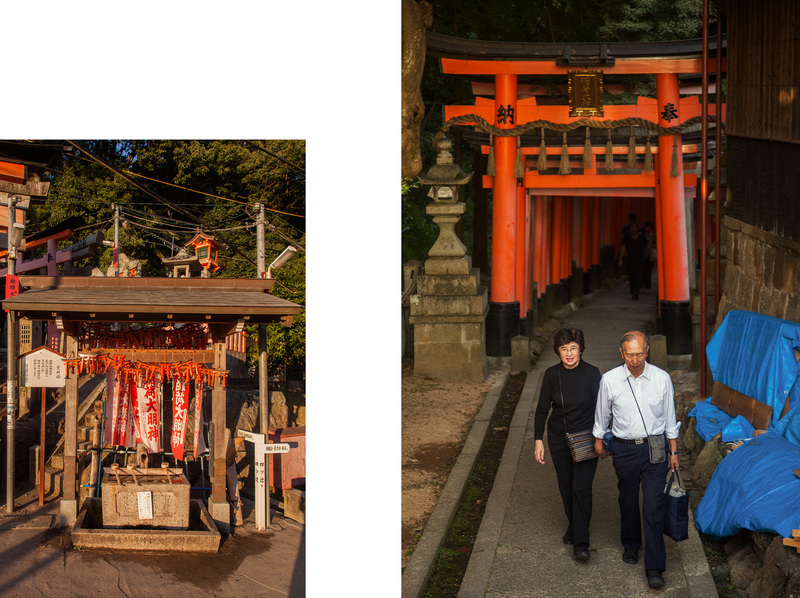 Along the route, we saw cat photoshoots, older gates being repainted, and a variety of shrines. 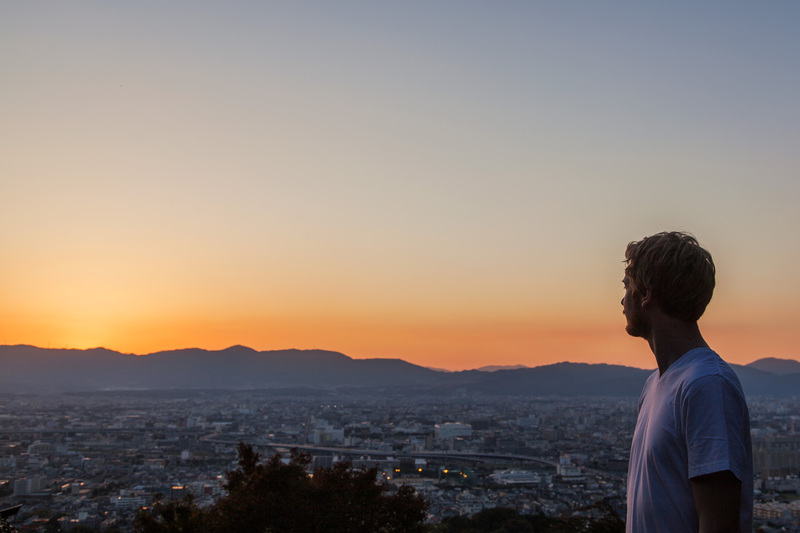 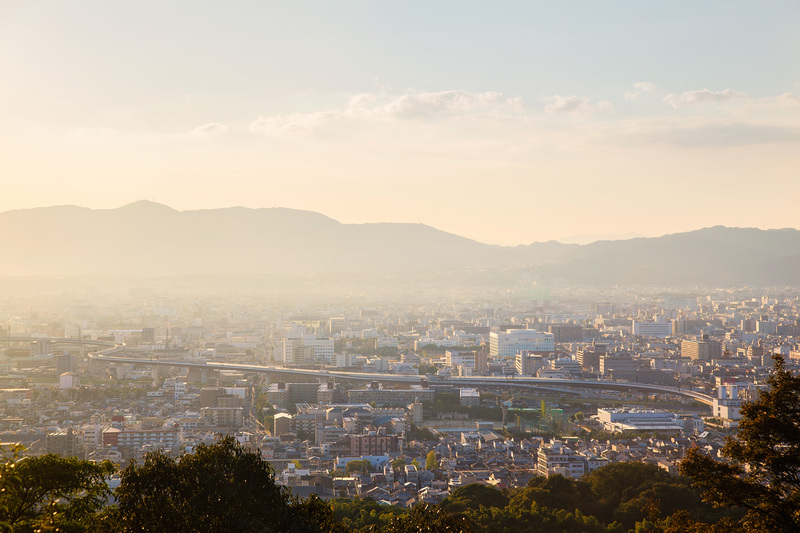 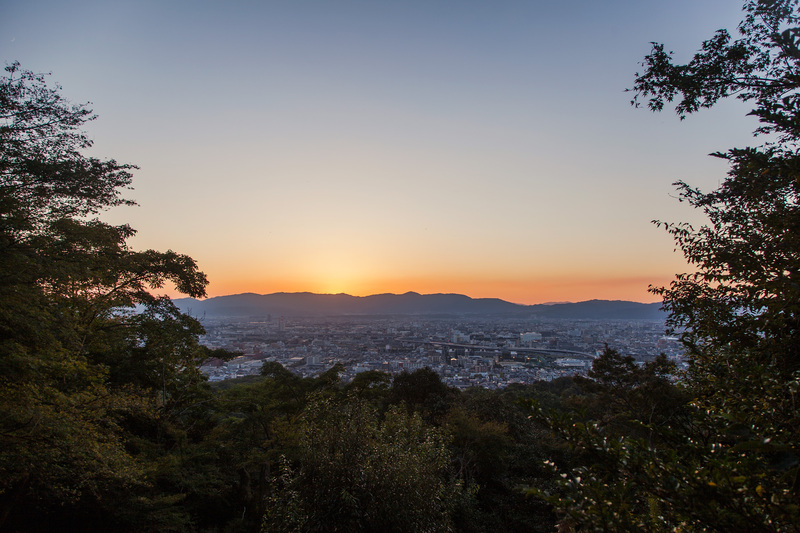 From the top, we watched as the sun set over Kyoto before making the journey back down to the temple at the base of the mountain before it got too dark. 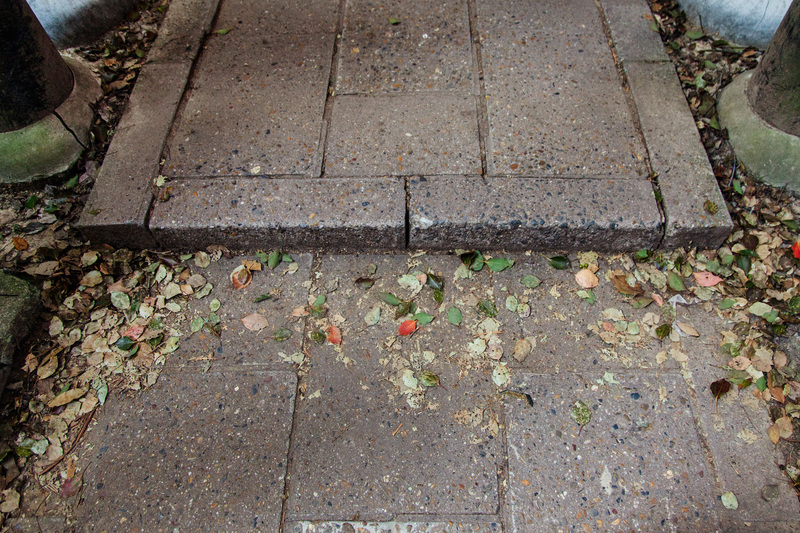 Was it a hard climb? 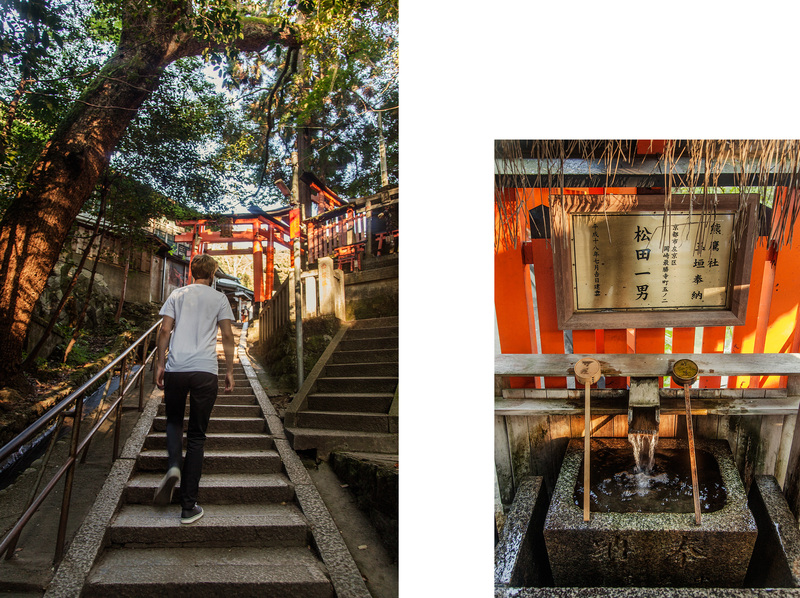 The steps are strange (uneven) but the incline isn't bad... it's just tedious and long. 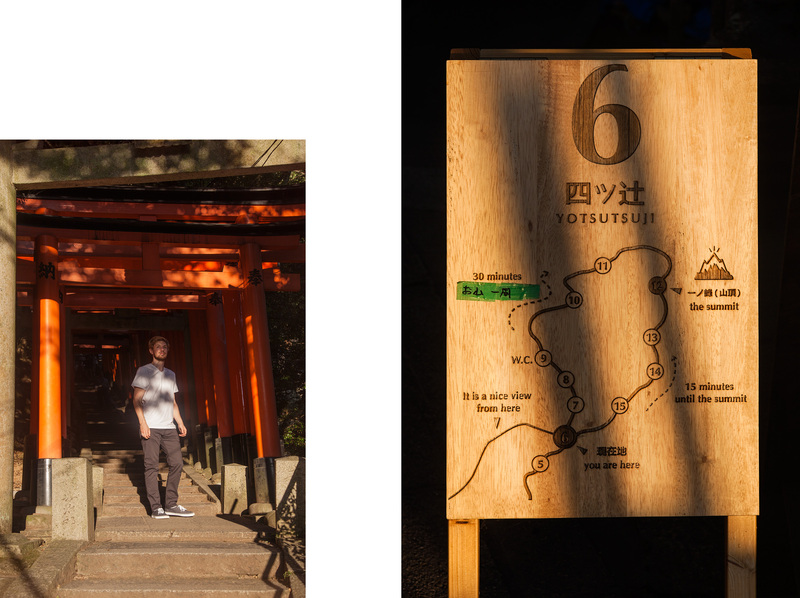 I was not aware that there was an ice cream stop; we may not have made it to the top either.